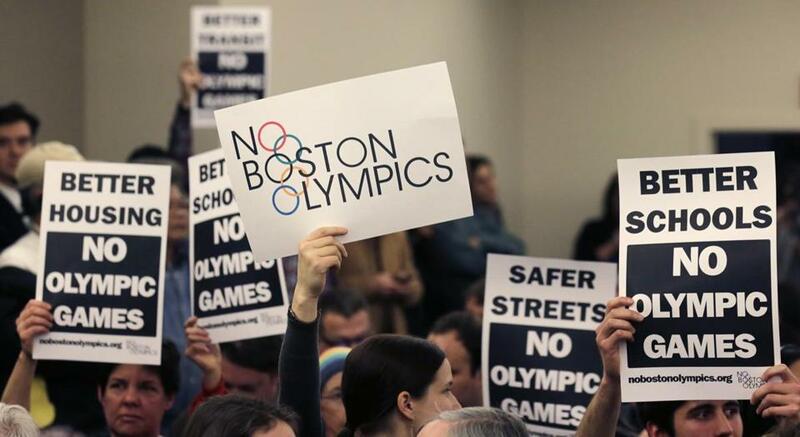 People held up placards against the Olympic Games coming to Boston during a public forum in February. You can call them cynics, spoilers, or naysayers for the role they played in killing Boston’s bid for the 2024 summer Olympics. “No elected official has publicly endorsed the group, they have not received significant financial backing, and their efforts have been limited to social media,” Boston’s Olympic backers wrote to the US Olympic Committee about a small band of opponents. 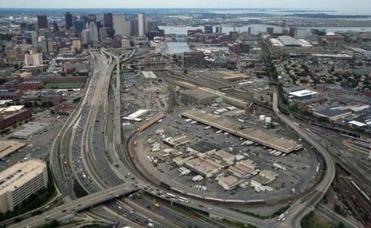 The activists behind No Boston Olympics questioned the public cost of hosting an Olympics. They demanded a true accounting of risk versus benefit for ordinary taxpayers — not just for wealthy developers. Let’s keep the postmortems to a minimum and get to work immediately on the future. Their persistence forced Boston 2024 to reboot its leadership and reluctantly reveal details behind its rosy pitch to the USOC. Because of concerns raised by these activists, public support for Boston 2024 lagged, and with it Walsh’s enthusiasm. Governor Charlie Baker wouldn’t get behind the bid either, and the USOC officially pulled the plug on Monday. That was always the right question. If the honest answer is no, it’s a public service, not a crime, to say so. Naysayers, after all, helped make Boston the city it is. They said no to King George III — who also underestimated the enemy — and yes to democracy. Rejecting the notion that education is only for the rich, they said yes to public schools and libraries. Naysayers opposed slavery and supported workers’ rights through the labor movement. And you don’t have to go back to Revolutionary times to understand the role local activists played in shaping Boston. “A People’s History of the New Boston,” written by Jim Vrabel, traces the modern era of grassroots activism back to the 1960s. That’s when Mayor John Hynes put together a “pro-growth coalition” that supported the effort to broaden the tax base, “by tearing down old structures and building new ones.” Urban renewal launched a shinier, more vibrant Boston, essential to the city’s rebirth. But after that movement destroyed one neighborhood — the West End — citizen-resisters organized to make sure the same thing did not happen to their neighborhoods. They said no to two highways. They extracted community investment in return for airport expansion. They kept soaring towers and the shadows they cast away from the Public Garden. “Because the people of Boston didn’t go quietly, urban renewal proceeded minus its early excesses and errors,” wrote Vrabel. The Olympics proposal promised the same urban renewal karma for locations such as Widett Circle and Columbia Point but raised doubt and skepticism about the plan’s cost and impact from wary citizens who would not go quietly away. Doubt and skepticism are not dirty words. They are legitimate tools for assessing the best path to a future Boston that holds the greatest promise for the most people. Boston 2024 never made a clear and convincing case that devoting nearly a decade to their quest for the Summer Games was the best way to grow the city for everyone. That’s reality, and in true Boston fashion, a determined band of citizen-activists forced the powerful to confront it.